Autumn has fallen like fresh timber in the forest! Fall is one of the Okanagan's most beautiful seasons, not only for the scenery, but for the sights, smells and tastes it brings with it; Crisp Apples, Bright Pumpkins, Spicy Desserts and of course, Okanagan Wines. Your next project will be BOLD, like our Okanagan wine and sturdy BC timber! 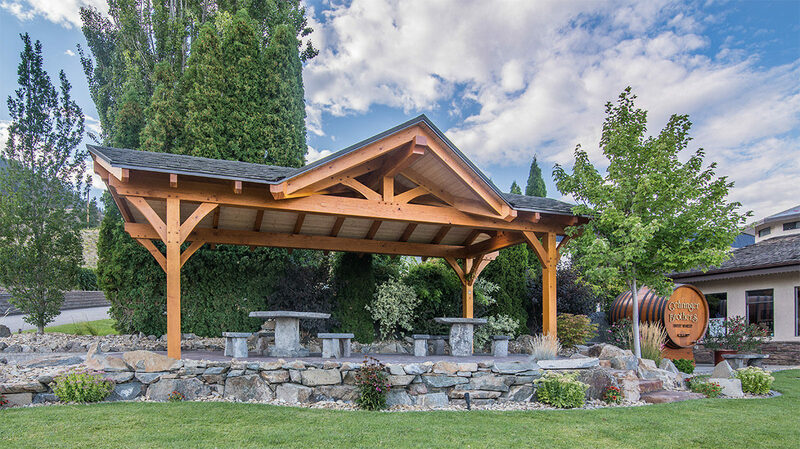 From picnic shelters and pergolas to outdoor bars and amazing accents for your wine storage, European Timber Frame can bring a touch of Okanagan Wine Country to your next timber frame project. Click here, to take a look at our portfolio for more inspiration. Here at European Timberframe, we have done a couple of projects with a winery focus. One of our latest projects was at at Gehringer Wineries in Oliver, BC. Driving up the driveway, past all the grapes, you will see the BOLD picnic shelter, built for the enjoyment of many generations to come, rain or shine. We can build these small or large to suit your particular project needs. 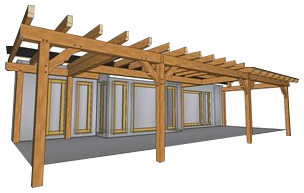 Daniel can custom design a structure for you using the latest in Timber Frame drafting software. We also had the pleasure of doing some amazing accents at Privado Vineyard & Winery in Kamloops, BC. 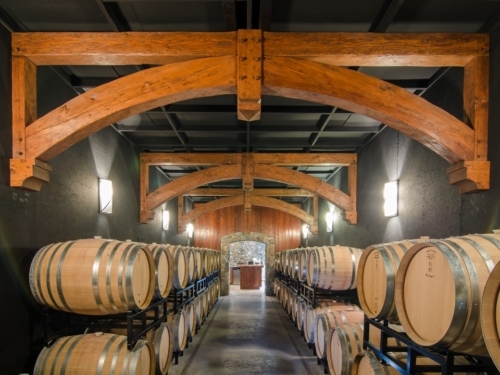 Their tasting room and wine cellar had renovations to include BOLD timber frame arches, making a solid statement of Okanagan luxury and exquisite wines that make the region so unique.